When beginning the preliminary steps of replacing the windows in your home, the most important thing you need to consider is finding the right company to provide you with the windows as well as with the installation. 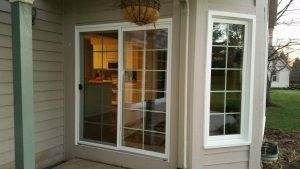 A Milwaukee, WI replacement windows and doors company has to have certain qualities to be the right option for you and your property. Search for a company that can offer the styles of replacements windows that you are interested in. It is not worth the hassle of vetting a company and then learning that they cannot offer the windows you want. This step is especially important if you have irregularly sized windows or those that are larger than regular ones. Take the time to read up on the business you are considering. You want to know as much about their history as possible, especially how long they have been in business. This can tell you about the level of expertise they have. For more complex installation projects, you definitely want to have people who know what they are doing on your side. Look for a company that has qualified employees and that has the right licenses and insurance. These need to be valid in the state in which they provide their services. Most companies that charge substantially less for their services do not have insurance, and this is something that you cannot afford. Many times, people think that they can save themselves money by hiring these kind of companies, but they end up paying for any damages that the installation crew cause. Save yourself the stress and hire a company that is licensed and insured. You want a company that you can get a hold of when you need to. With a process as complex as replacement windows, you want to make sure that if you have any worries or concerns, you can reach someone in the company who will have some answers for you. To make sure of this, contact the company through email or phone. If they do not answer or if it takes them longer than a day to do so, it is not the right company to work with. A company that is reputable will always have references available that you can check on. Do so. You want to heat the truth about the services you are hiring, so choose a few references at random and ask them all of the questions you may have about their experiences with the company. By considering these qualities, you can choose a company that offers replacement windows and doors in Milwaukee, WI much more easily and without stress. Look for experience, great quality products, good customer reviews and references, and valid licenses and insurance. Once you have done this, you will be able to find the right people to hire. Get started by contacting Wisconsin Weatherall. They are located at S28W31135 Wild Berry Ln Waukesha, WI 53188, where you can easily reach them by calling (414) 305-2622.